Evacuumstore.com carries all styles of Eureka vacuum cleaner filters including: Eureka canister filters, Eureka upright filters, Eureka stick vac filters, and Eureka hand vac filters. Eureka HEPA filters are 99.97% effective at removing particles 0.3 microns and larger form the air making you home cleaner and healthier. Eureka recommends changing you filter every six months for optimal performance, so you may want to stock up when you are ordering and take advantage of the free shipping. All Eureka vacuum filters are specific to the model of the Eureka vacuum cleaner, so you will need to pay close attention the model of your vacuum cleaner when ordering the filter. Some Eureka vacuum cleaners have multiple filters such as dust cup filters, HEPA filters, and motor filters. 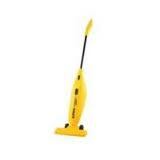 We also carry a large selection on Eureka vacuum cleaners, bags, parts, and vacuum cleaners. If you can’t find what you are looking for, please contact one of our customer service representatives, and they will assist you in locating the correct Eureka vacuum cleaner filter.